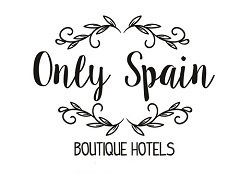 Ever thought of hiring your own hotel in Spain? Here we recommend four beautiful and private small boutique hotels for small private weddings or family gatherings. Planning a party? Want a private wedding? Just fancy a real hummdinger of an escape for 2 – 20? Then rent your own hotel in Spain. Hop on a plane and arrive at your very own hotel, even if it’s only for a week or weekend. No other guests except your invited ones. Everything catered for. Just relax or party to your hearts content. If the destination isn’t important because you will all be together and have your own private swimming pool and don’t particularly want to mix with others on a beach then head inland away from the crowds. The Costa del Sol might pop into your mind but get away from the hype, the English Breakfasts and pint of beer drinking tourists. Head for the hinterland. Spain is an enormous country with beautiful scenery. Whether you want to walk, run, mountain bike or just admire those views, getting away from it all means getting into serious countryside with not a soul or a club in sight. When we say Sevilla we’re heading off in the wilds of Sevilla province into a charming white town, not the city. The mountain town of Cazalla de la Sierra is home to the oh, so quirky El Palacio de San Benito. A veritable museum of antiques fills this 9-bedroom small town abode. In the north of Malaga province surrounded by olive groves lies the modern villa filled with gorgeous decoration and extnsive grounds – Cortijo Sabila. Your own swimming pool with outside bar, life-size chess board and Alhambra Garden patio. With just 5 double rooms for an intimate stay. A Natural Park near the Portuguese border? In Huelva province the Finca la Fronda owned by the great great grandson of poet William Wordsworth is a glorious escape. It can sleep up to sixteen people. Surrounded by trees with no near neighbours and a pool in under tree cover, you won’t want to leave. Following in the footsteps of poets, in Granada province on land walked by Frederico Garcia Lorca the newly renovated house of nobles – La Casa Grande de Zujaira is beautiful. Two hundred years old with many original fixtures and fittings with non obtrusive modernity. A stay for a Lady or ten. Rather we sorted your plans for you? We are also trip planners. Check out our Trip Planning in Spain services.